With this toy, children will enjoy exploration of Armenia. 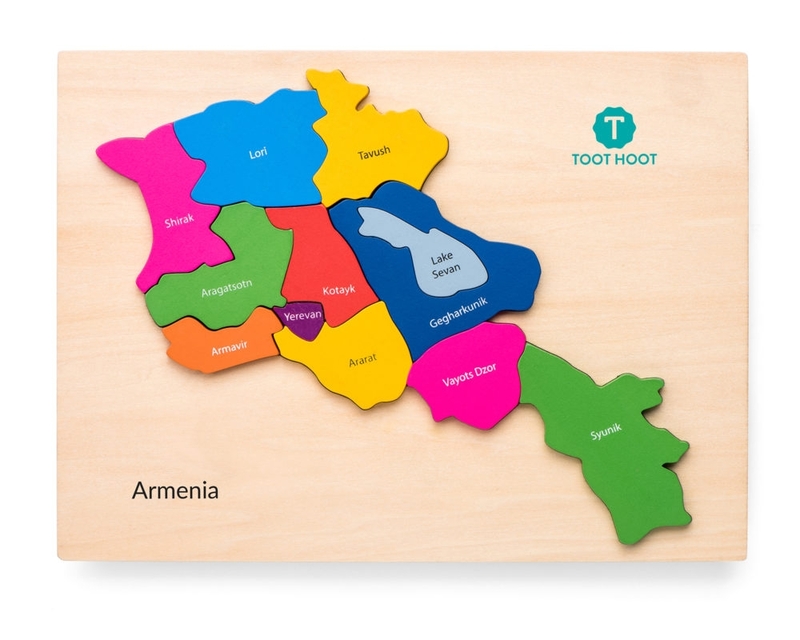 They will be introduced to the different regions in the country with this visually attractive chunky wooden puzzle of the Armenia map. Each region can be removed individually. Once removed, you can see that regions name written in Armenian on the base. 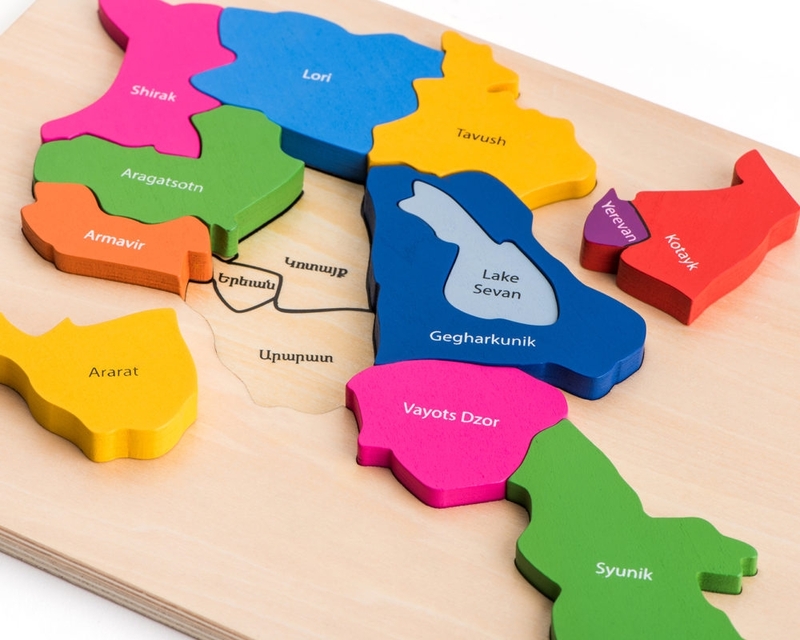 The regions names are also written in English on top of each region.